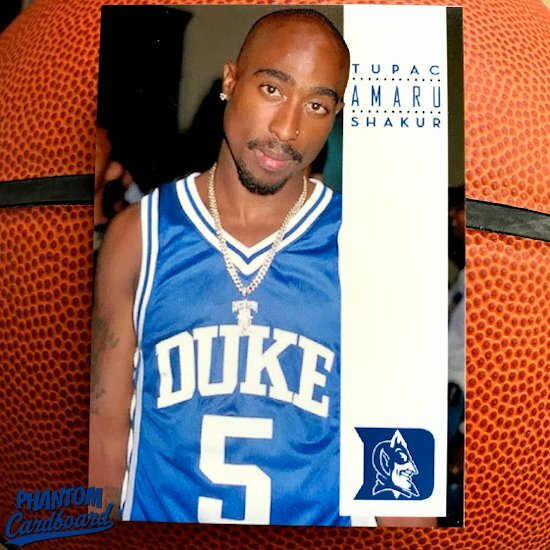 When you think of Duke basketball you probably don't also think of hip hop culture, except for that iconic photo of Tupac rocking former Dukie guard Jeff Capel's #5 jersey back in the mid '90s (1996, I believe). I was thumbing through for images on Instagram and was reminded of the picture and knew it would make for a really dope custom basketball card. I chose the 1993-94 Skybox basketball design for this card. The template is a bit of the departure from the '80s era framed-in Topps designs I enjoy recreating, but I think it works perfectly. 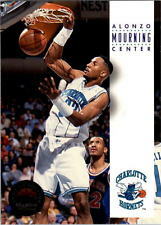 I was collecting a lot of basketball cards this season due to it being Chris Webber's rookie season. I've always thought, even more so in later years that this is one of the classiest looking card sets ever. As a sidebar, the vertical white banner makes for a beuatiful spot for an autograph which is exactly where I hope do get Jeff Capel to sign this, Tupac too if it's ever revealed where he's been hiding. Fun fact: Jeff Capel, now a college basketball head coach, has said that he once used the photo in a recruiting effort for a player who is friends with a popular rapper.